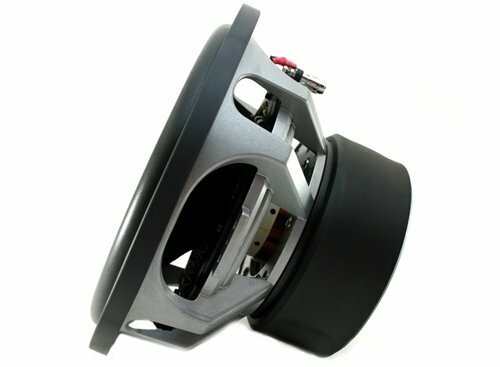 American Bass XFL1244 12" SUBWOOFER AMERICAN BASS WITH DUAL 4 OHM VOICE COILS; 200 OZ MAGNET. Product Dimensions in Inches (L x W x H): 15 x 15 x 12. Heavy-duty hi-excursion design die cast basket. Strong carbon-Kevlar reinforced nonpress paper cone; NT multilayer high density foam surround; 3" high-temp voice coil with long windings. Triple-stacked 220-oz high-energy magnets; uni-rubber gasket and rubber magnet boot. Cooling pump motor design; Multi-pieces of new CONEX spiders. 1-pc tech T-yoke with high-extended pole piece.